A new way for teens to find opportunities to give back. 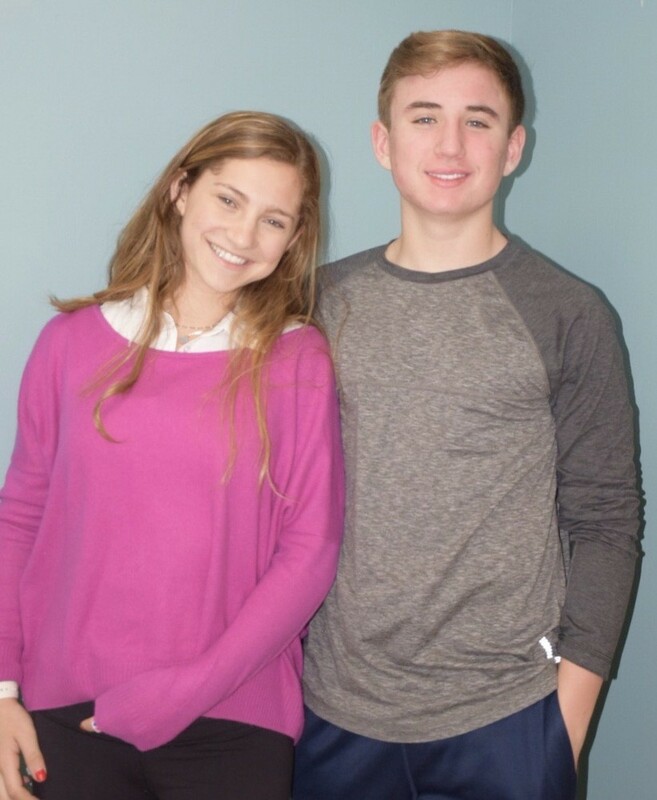 When high school sophomore, Helena Zimmerman shared her summer homework assignment with her classmate, Max Mindich, she never dreamed it would turn into an actual company. But after they did some preliminary research on volunteer marketplaces for teens, they knew they had hit upon an idea that was ripe for creation. TeensGive.org was launched from this original vision by these two creative, industrious teens. Zimmerman and Mindich have already received national recognition as finalists in both Hatchpad’s 2017 people’s choice student startups awards and Kidbacker Foundation for Entrepreneurship 2017 finalist for student startups awards. So what made this original homework project a good idea for a business? Helena: Volunteer opportunities available to high school students are hard to find. In fact, as most of the options listed online are restricted to those 18 and older. Listings that were available centered around fundraising or those dreaded all day cleanup projects. There was nothing that allowed us to use our skills or make an impact. With so many high school students looking for ways to give back, we recognized this is a real problem worth solving. Max: This was a service model that I personally would love to have access to myself! I have been really interested in business and the stock market and have spent time studying some of the most popular companies today. I was really excited to work with Helena to combine our skills and build a platform that could really make a difference. Why should teens be volunteering? Helena: There are so many reasons why everyone should volunteer in a world filled with so many inequalities. Scientific Research even shows that volunteering improves emotional health and overall wellbeing. Students come to TeensGive because they are looking to volunteer. We don’t need to convince them. Over half of our members are required to fill community service options. Others want to find leadership opportunities and build up their resume. Of course, many members volunteer because they want to give back to people in need. To us, what is important is not why they are volunteering but that they find ways to volunteer that are rewarding so they have a positive experience that will translate into sense of generosity and service in high school and beyond. What do you hope to accomplish? What is the long-term goal for TeensGive? Max: We want to reimagine volunteerism for high school students.Our big idea is to bring technology into the world of volunteering. We want to create a virtual volunteering platform, which will be a dream come true for high school students. Sessions will be completed via tablets, laptops and phones. Our plan includes a Stem Squad Hotline which will be open weekdays after school, where advanced high school math and science student’s sign-up to work one 90-minute session each week, initially from their school, and eventually, from anywhere. After-school programs that are registered with TeensGive can schedule time with students who need homework help. Basically, we are hoping to match the needs of our members with those of charities in a way that can improve the lives of volunteers and their beneficiaries. Based on our customer research, we know that high school students are looking for volunteer options that provide a direct connection with someone in need. We also know that the realities of jam packed schedules and lack of transportation create challenges. Right now, we are testing several ideas, mainly in the area of education where we are connecting students with after school programs to provide academic enrichment to English as a Second Language (ESL) communities in fun and innovative ways. What aspirations do you have for yourself beyond TeensGive? Helena: TeensGive has opened my eyes to the world of social enterprise and entrepreneurship. I am learning so much about marketing, business plans and even finance. It is all so fascinating. I hope to continue to follow this path for years to come. Max: The demand for TeensGive is a response to how busy our lives are during high school. So, right now, I am trying to keep my goals beyond TeensGive in check. However, I also aspire to get my driver’s license (mission accomplished! ), survive the college application process, keep up my grades, sleep and spend some time with my friends. Originally published at www.huffingtonpost.com on April 15, 2017.